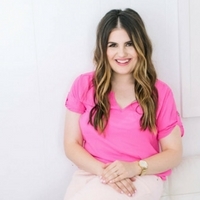 The International Food Blogger Conference is thrilled to announce our keynote speaker for this year’s event in Sacramento, California from September 29-30! Please join us in welcoming the Head of Culinary for the largest social food network in the world, BuzzFeed‘s Tasty, Claire King. Claire oversees Tasty’s content direction and partnerships in the food community, and consults on recipe development. While BuzzFeed initially gained popularity a decade ago with its well-known lists and quizzes, it’s now the world’s leading tech-powered media company, with a cross-platform news and entertainment network, including Tasty, which, with the help of Claire, recently launched the Tasty One Top, BuzzFeed’s first-ever smart appliance. As a highly successful network and significant revenue force, Tasty connects its audience through food content across its platforms and the all-new Tasty app for iPhone, which is available on the App Store with nearly 1,700 video recipes. And with billions of monthly views, we’d say they’re certainly masters! Claire will offer us a look into the world of food content, its growing significance in the food industry, where culinary trends are heading in this visual landscape, and how food bloggers, writers, and media influencers can utilize video platforms, as well as the latest culinary trends, to further their own success. So please join us in welcoming Claire to #IFBC17. We can’t wait to hear from her! And if you’re not yet registered for the IFBC, don’t delay – from Claire to our all-star panel of top bloggers discussing monetization, and from Google analytics to Instagram growth, you need to be here! 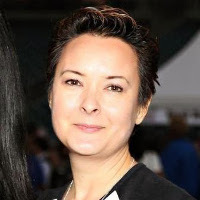 In response to the concerns of a number of our food bloggers, IFBC and Tasty have mutually agreed that the timing isn’t right for Tasty give the keynote address at our 2017 conference. We have heard the concerns from a number of food bloggers and have responded. Frankly, we were not aware this was an issue and we should have been; for that we at IFBC apologize. Tasty had planned on unveiling several upcoming partnership opportunities to build relationships with bloggers and will do so in the coming months in a different venue. We thank Claire King from Tasty and everyone for your interest – both those who expressed concerns and those who expressed positive comments. We remain dedicated to providing our attendees with a high-quality, valuable and fun conference. We hope to see you in Sacramento. We’re compiling the results of our Food Blogging Survey, but one thing we’re closely observing is blogger motivation. While most bloggers are in it for passion for the subject or personal satisfaction, 32% of food bloggers use their blog as a revenue stream. That said, about three in five earn no money at all, and another one in five earn less than $200 per month. 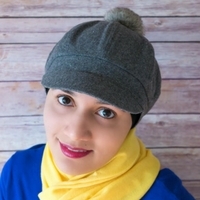 So is it possible to make money blogging? Yes. In fact, some of our survey respondents are able to draw in a significant revenue stream. 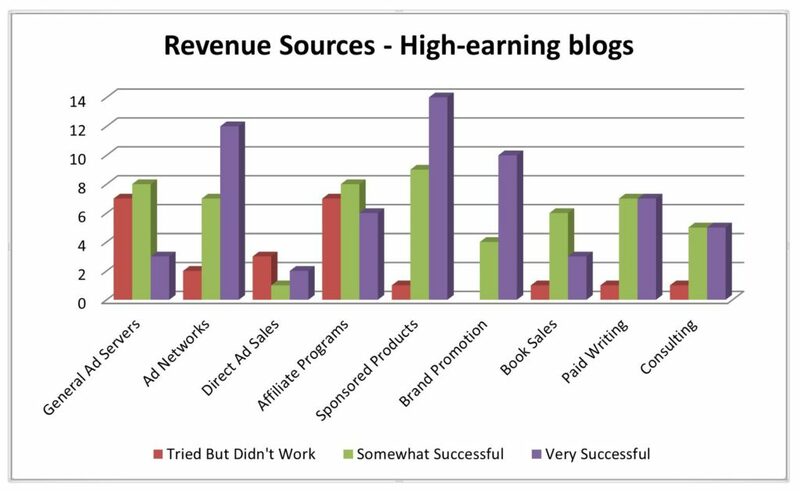 Just over 5% of the blogs in our sample earn more than $2,000 per month, and about half of these earn more than $4,000 per month. So how do they do it? Bloggers have tried a number of different ways to generate revenue. Among the high-earning group, general ad servers have been often tried but are rarely successful, while targeted ad networks have proven much better. Brand promotion and sponsored products have seen greater success as well. While this data offers us valuable insight, we think it’s important to hear from bloggers experiencing this success directly. At this year’s IFBC you’ll have the opportunity to do just that with our all-conference panel, How to Make Money Blogging. You’ll hear from a panel of experts who have put their blogs to work. Munchie Musing’s Catherine Enfield will moderate the discussion featuring Best Friends for Frosting’s Melissa Johnson and Cake Whiz’s Abeer Rizvi. Discover how they’ve done it, where they find the most opportunity, what works, what doesn’t and how to apply this knowledge to your own blogs. You’ll also have the opportunity to ask them questions directly! Not registered yet? Don’t miss out! Register today to make the most of your blogging experience. See our outstanding speaker line-up and full agenda here. The 2017 Conference takes place at the Sacramento Convention Center, located in the heart of Sacramento, and this year we have two host hotels each located within walking distance. The Residence Inn by Marriott, rated #1 of 80 hotels on Trip Advisor, is located a short four-minute walk from the Convention Center. The hotel offers 15 floors of spacious suites with fully-equipped kitchens, a living room area, and work desk. 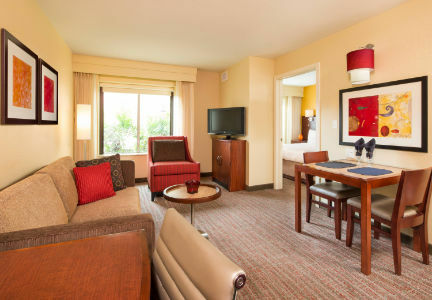 Studio suites (one king bed and one queen sleeper) are available at an IFBC discounted rate of $129/night, which also includes a complimentary breakfast, free WiFi, a 24-hour fitness center and a discounted parking rate of $10/day. 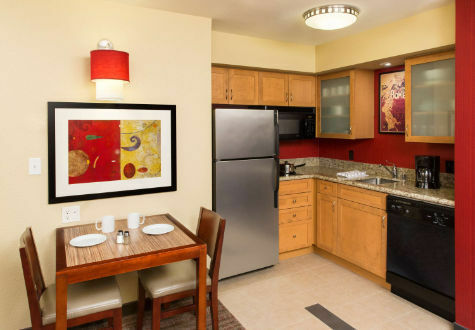 Two-bedroom suites, with double the square footage, are $229 per night. Check-in time for the Residence Inn is at 4:00 p.m. with a morning check-out time of 11:00 a.m.
Special Note: Need groceries for your stay? The Residence Inn will have you covered! Contact the hotel with an itemized shopping list and they’ll have it ready and waiting for you in your room. Shopping and in-room delivery is offered as a courtesy. You only pay the cost of your groceries! Click here to book your room at the Residence Inn by Marriott, before 9/1/2017 to secure the IFBC discounted rate. 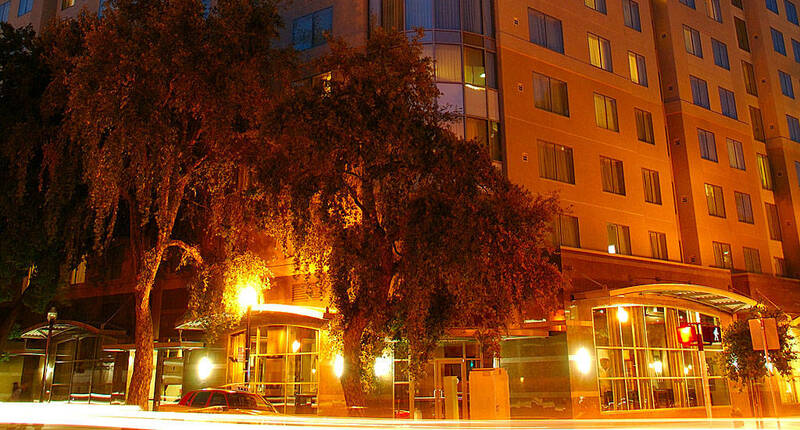 Adjacent to the Convention Center is our second host hotel, the Hyatt Regency Sacramento. A AAA Four Diamond luxury property is offering IFBC attendees the option of a King or Double room at the discounted rate of $154/night which includes complimentary WiFi. The hotel features views of the California State Capitol and City Skyline, and offers a 24-hour fitness center, full-service spa, two bars and two restaurants. As of this posting, we currently have 61 rooms remaining in our room block. The IFBC discounted rate is available through 9/6/2017 (or until rooms are fully booked). Check-in to the Hyatt Regency is 3:00 p.m. with a check-out time of 12:00 p.m.
To book the Hyatt Regency, use this online reservation link. And lastly, don’t forget to book your flights to Sacramento International Airport (SMF). Not only is it the official airport of the IFBC, it is also the hub for food and wine travel in Northern California. A quick Google flights search today has the following round-trip rates available to SMF for the conference dates: Seattle from $201, Denver from $265, Austin from $290, Chicago from $293, and New York from $344. Happy bookings and let us know if you have any questions about hotels or air travel to the IFBC. We are now less than six months from IFBC17 and the agenda is taking shape. After a successful call for content and alumni/attendee vote, we are pleased to announce this year’s selected topics as well as a few of our confirmed speakers. But first don’t forget, beginning tomorrow the price will increase to $145 for bloggers through June 30th. So book today to secure that $95 blogger rate. What to expect at this year’s IFBC in Sacramento? You can watch the agenda coming together here. And for a look at some of this year’s presenters, including Kathleen Flinn, Shanna Jones, Gabi Logan, Midgi Moore, Lennis Perez, Lori Rice, Laura Sampson, Felice Sloan and Stephanie Stiavetti head to our Speakers page for an introduction. It’s going to be a great event. Make sure to check back often for continued updates as additional sessions and speakers are confirmed. And again, don’t forget that early bird pricing deadline – $95/bloggers ends today (4/3/17). We heard you – and as the organizers of the International Food Blogger Conference, we would like to own up to a few areas in which we did not perform as highly as we could have last year and share with you how we plan to improve. This conference is for you and about you, and as the longest-running conference dedicated to food bloggers, we’re committed to listening to you and working for you. We love what we do, in short, because of you. So, here’s our plan and commitment for 2017 and beyond based on the feedback you provided. Content Subject Areas: We admit we fell in love with the Sacramento “farm to fork” theme and we added quite a few content sessions related to this topic. However, our 2016 attendees were clear in telling us this was not the subject matter of interest of greatest interest to them. “This is supposed to be a food blogging conference, not a food conference,” they might as well have told us. What We Will Do: Go back to our focus on blogging, social media, writing, and technology. We will still incorporate “farm to fork,” but this will take place in the pre-conference and post-conference excursions to local farms, wineries, and businesses. Content Quality: We also did not do a good enough job getting our speakers to deliver content that is advanced enough for our audience. This left some of our sessions too full of fluff. What We Will Do: As we did last year, we will incorporate an annual standard content search including a public Call for Content (this year’s open through March 13th), a private vote on potential sessions by IFBC Alumni, a Presenters Packet sent to selected speakers, and detailed communication up to and after the event with speakers. We have also implemented the first-ever Advisory Board for the IFBC, with which we will confer and collaborate on all things IFBC. We expect these processes to ensure high-quality, advanced-level, real-world, blogging-focused content for our attendees. Date Selection: We erred in selecting the 2017 date which conflicts with a major Jewish holiday. This was not intentional and has nothing to do with being political, anti-religious, or even anti-Semitic. If you know us, you know that couldn’t be further from the truth. Rather, it was solely due to having limited options in Sacramento where we were already committed for 2017, including negotiating with four separate hotels until finally moving to the convention center. What We Will Do: Plan farther in advance. Securing locations for the following year is a BIG project and we usually start well in advance. Because we knew we would be returning to Sacramento, we let this process slide until too late in the year, and our options were gone. In the future, we will not repeat this error and apologize sincerely for the unfortunate timing this year. Thank you to everyone that provided feedback after the 2016 event. Your thoughts, insights and ideas are always welcome and an important aspect of what makes the IFBC one of the best food blogger conferences available. We also appreciate your praise and comments about the good aspects of the conference, and will continue to work to enhance those areas as well. But one never improves by focusing on what one does well, and it is important to us to own up publicly when we do fall short of our high standards. With that said, we want you to know that we love what we do and that we’re committed to providing you with an event that propels your passions. We want to do the best job possible and we’ll do that, in part, by listening to you. We believe in the mission of the IFBC and will continue to foster its success as well as yours! We hope to see you in September in Sacramento. You can register here – and please note, we’re extending the early bird discount through April 4, 2017!